Your membership in Signature Healthcare of Volusia covers the annual healthcare assessment (laboratory blood testing, chest x-ray, spirometry, EKG, urinalysis, colorectal cancer screening and age-appropriate physical examination). Additional services such as non-preventative office visits, laboratory testing and hospital care can be submitted to your primary and secondary insurances or can be paid at the time of your visit. Do I have to change specialists? 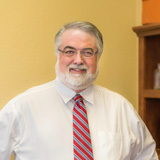 Dr. Mercer is familiar with most of the medical specialists in the Volusia County area, and he can work in cooperation with any specialists already involved in your medical care. How do I contact Dr. Mercer? During office hours, patients can contact Dr. Mercer by calling our main office number, 386-322-5200. The office number is forwarded after hours to Dr. Mercer’s cell phone to be answered, personally, by him. Are there any family membership discounts? Due to regulatory guidelines, we are unable to offer discounts for couples. However, dependent children under the age of 18 are not required to pay a separate membership fee as long as at least one parent or guardian is a member of the practice. Payment plans are available. Please contact our office if you would like to make payment arrangements. When our patients are not feeling well, they know that they can be seen in most cases on the same day they call. After hours, our patients can contact Dr. Mercer for further instructions. How can I find out more about Signature Healthcare of Volusia? We invite you to contact our office at 386-322-5200 to request additional information. We offer a No Cost Consultation with Dr. Mercer to discuss membership with Signature Healthcare. In addition, we welcome you to stop by our office where our staff is available to discuss the benefits of membership with you.